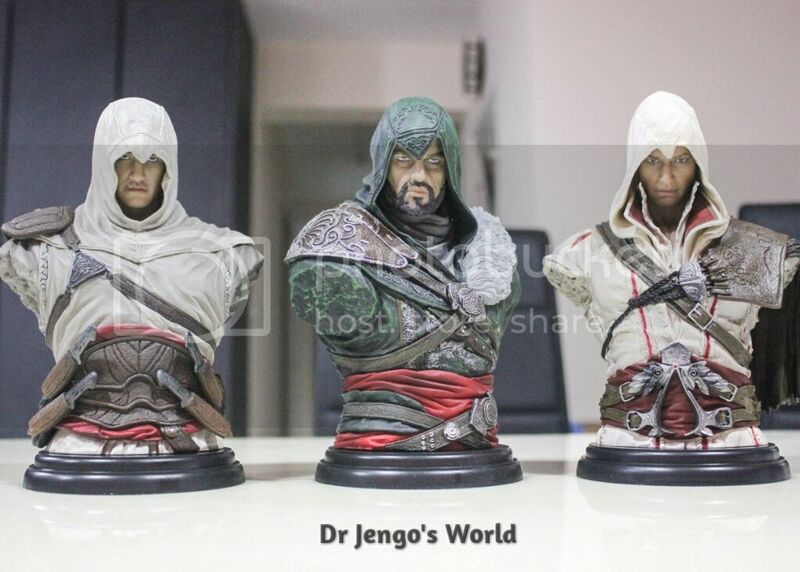 Dr Jengo's World: Next Assassin's Creed Busts from UbiCollectibles Leaked? Next Assassin's Creed Busts from UbiCollectibles Leaked? Ahah! So you love those Assassin's Creed Busts from UbiCollectibles? I wasn't really a fan of small-scale Busts but I really liked these when I received mine. Very nice details and a lot more realistic face sculpts than I expected.. So I talked about what I thought would be next in this line of Busts..
Well.. it looks like it has been leaked! 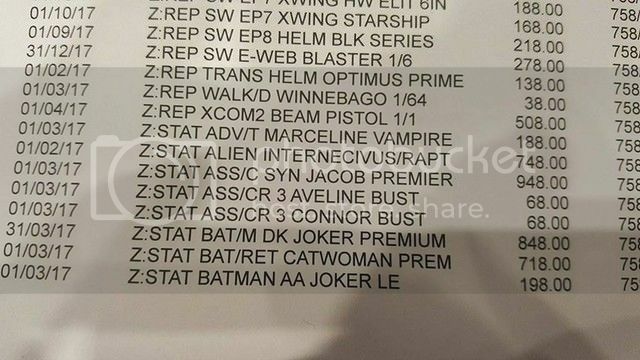 Someone posted this pic in a Collectors Group; a list of the upcoming releases at the store they work at..
Credit to Nathan Charles Anthony Condon for uploading this pic. It looks like there's going to be a Connor Bust and a Aveline Bust!! No big surprise regarding Connor but I didn't expect a Aveline one! There was no Aveline collectible statue released so this is definitely a pleasant surprise! Looking forward to building the collection? I sure am! Also, in other news, the Project TriForce's Jacob Premier Statue looks set to be released in early March as well!